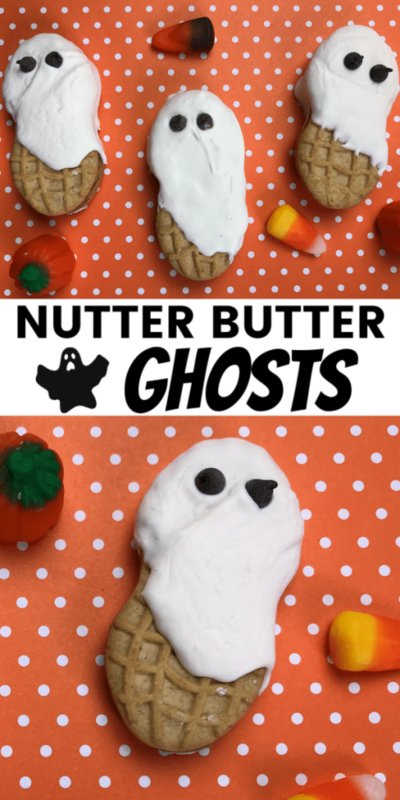 These Nutter Butter Ghosts are super easy to make. 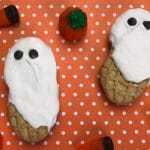 They’re the perfect Halloween treat to surprise your kids with or to make a big impression at the classroom Halloween party. I’ve definitely pulled my share of showing up at the class Halloween party with some store-bought cupcakes with spider rings pressed into the frosting. I usually feel pretty good about my choice too, proud of all the time I saved knowing the kids won’t mind because they love frosting and spider rings! Then I walk into class and see almost every other mom has brought the same cupcakes. Okay, zero points for creativity and now I’m going home with half of the cupcakes I don’t really want in my house because there are way too many at the party. And then there’s THAT mom. You know, the one who must have been mentored by Martha Stewart herself. She’s brought in an entire haunted village full of ghosts, monsters, and spiders handmade from a variety of ordinary snacks and treats. I’m not going to bash Martha Jr. I think it’s awesome that some moms have the time, energy and creativity to do wonderful things like that. I don’t, but she does inspire me to up my game a notch to at least stand out from the cupcake crew. 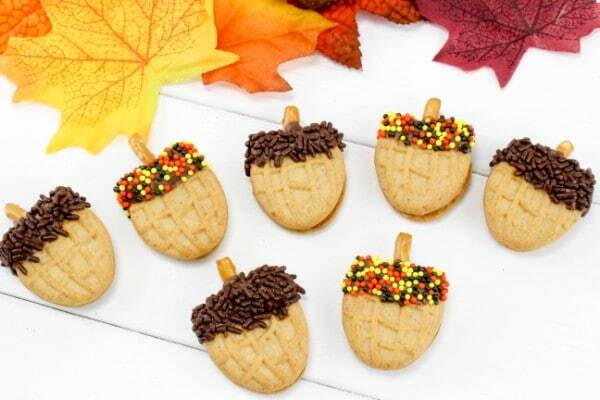 That was my inspiration for finding easy ways to transform store-bought snacks into cute holiday treats. They don’t take long to create, the kids love helping, and they’re almost always one-of-a-kind at the class party. I’m a peanut butter fanatic so I’m a big fan of Nutter Butter cookies. After making these Nutter Butter acorns, I realized they’re easy to work with and great for lots of other easy treats. 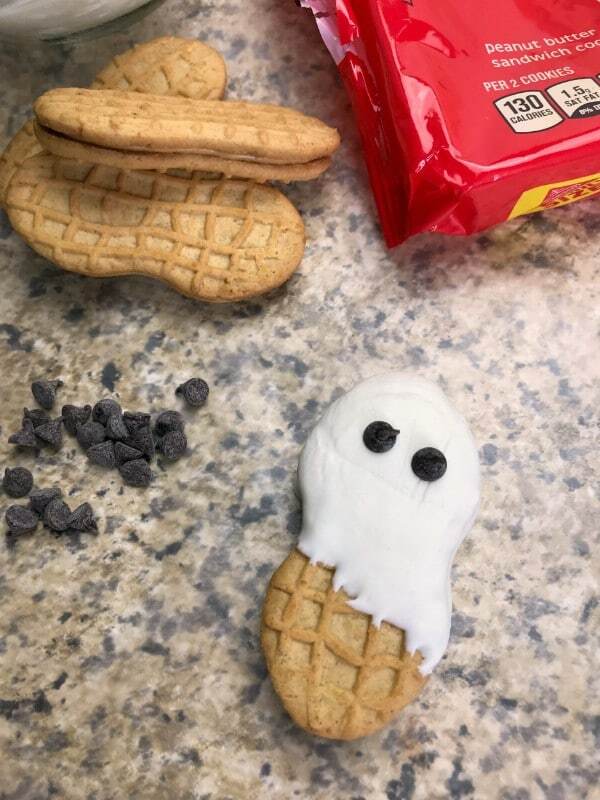 For example, coated in white chocolate, they turn into adorable Nutter Butter ghosts! These are so easy to make and end up really cute. Melt white chocolate wafers or vanilla almond bark according to package directions. Do NOT overheat or the coating will be too thick and end up clumping. 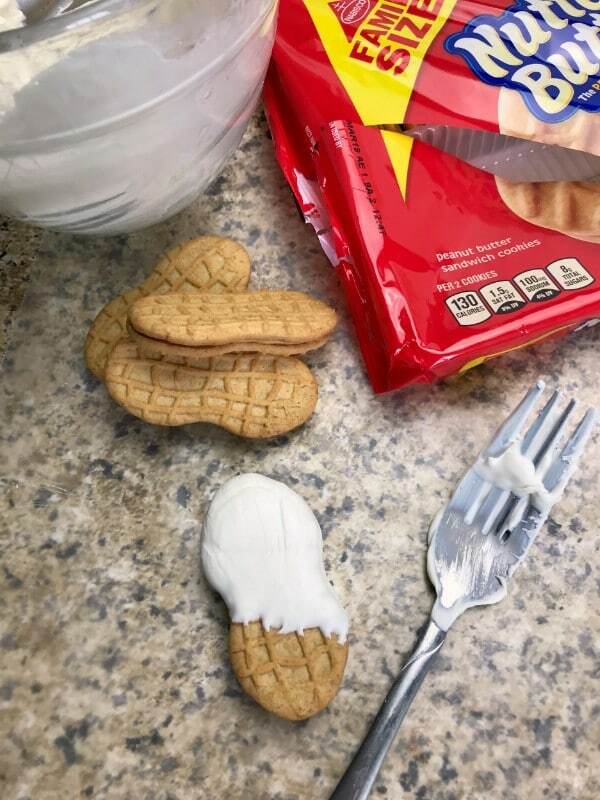 You can dip the Nutter Butter cookies into the chocolate, but I prefer to use a spoon or fork to drizzle the chocolate over the cookies. Otherwise, the ghosts end up with little points at the top of their heads. Before the white chocolate sets, push two mini chocolate chips in for the eyes. If you have them, you can use mini candy eyeballs instead. Set on wax paper to let the coating cool and harden. Then store in an airtight container until ready to serve. Don’t put them in the refrigerator. Nutter Butters tend to absorb moisture and will get soft if you store them in the fridge. 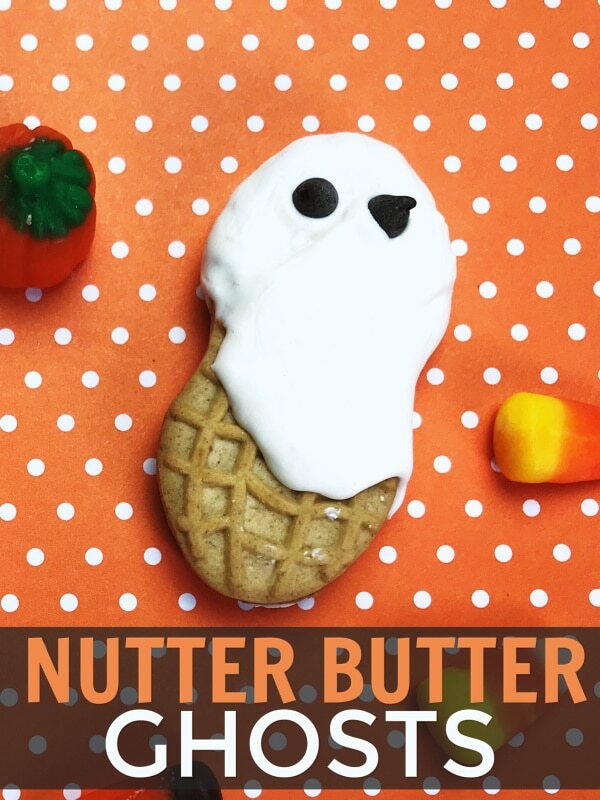 These Nutter Butter ghosts are so easy to make, it almost seems silly to add the recipe card. But, I’m a creature of habit so here it is anyway! Melt the candy coating according to package directions being careful not to overheat the candy. If the candy coating is overheated, it will be too thick. If you accidentally overheat, add a small bit of shortening to help thin the candy. Do not add any other type of liquid though because it will cause the chocolate to seize and harden. Using a spoon or fork, drizzle chocolate over half of each cookie. 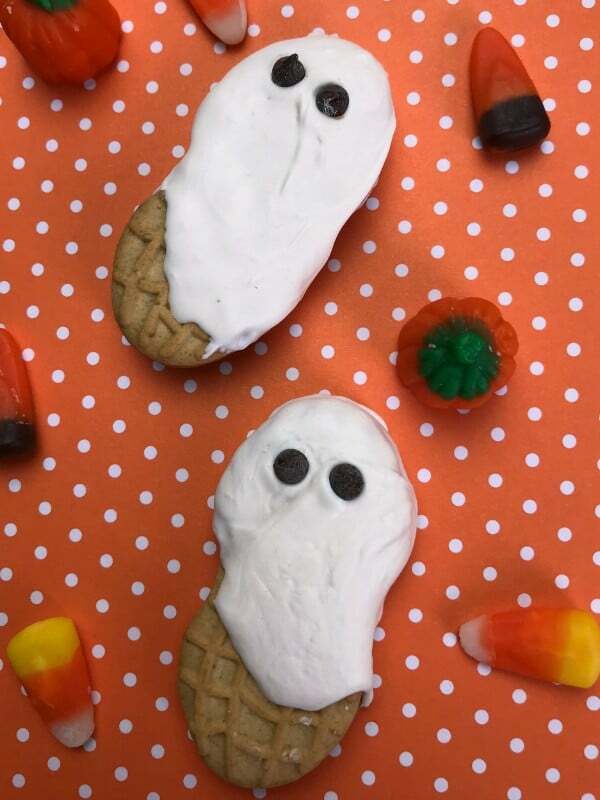 Tap the cookie with your finger or a clean utensil to help the candy coating move into a smooth, ghostly shape. Insert two mini chocolate chip morsels (or mini candy eyeballs) for eyes. Place each cookie on wax paper to set. Allow chocolate to cool completely before storing or serving. Store in an airtight container at room temperature. The cookies can soften if stored in the refrigerator. 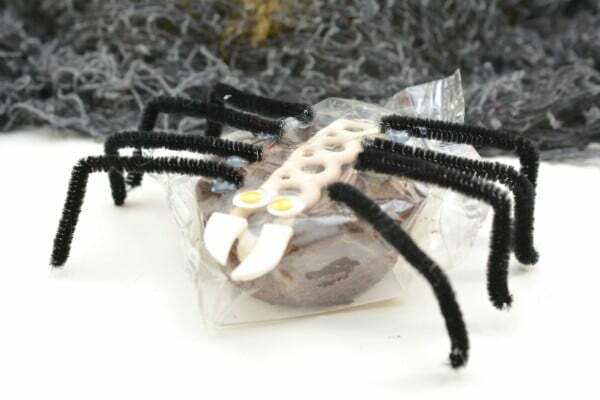 If these Nutter Butter ghosts were right up your alley, you might also like these easy cupcake spiders. 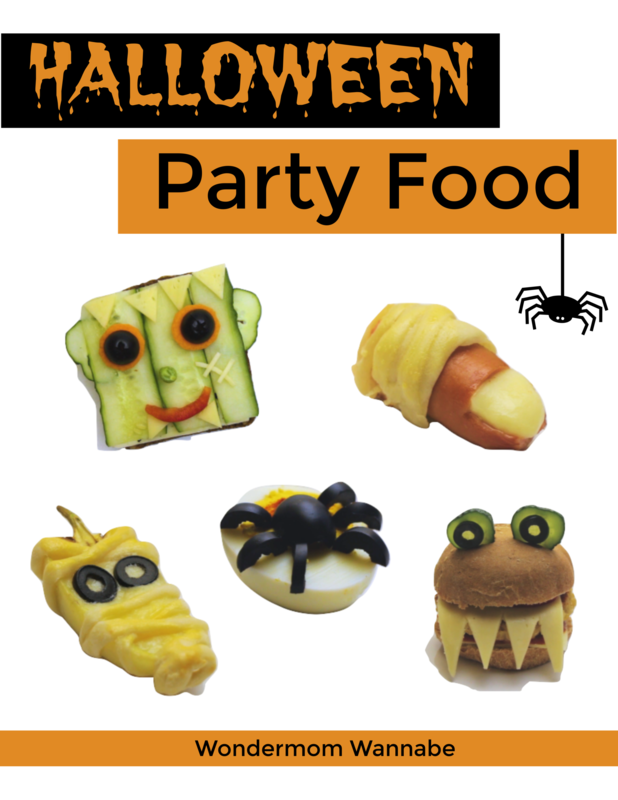 Better yet, grab my free book of Easy Halloween Party Food when you subscribe to my newsletter. You can unsubscribe at any time (but you might want to wait until you grab all the freebies in my subscriber library first! ).